Boca Raton Football Club is a semi-professional soccer team playing in the National Premier Soccer League and American Premier Soccer League founded in 2015 by local businessmen, athletes, and soccer fans. Soccer in the United States is growing rapidly, and here in Boca Raton, it has already been a part of the city’s fabric for many years with amazing High School teams, recreational leagues such as SABR and Greater Boca Youth Soccer Association, and many travel clubs. Boca Raton FC is a team that has had remarkable success ever since its inception, wining 4 championship titles and garnering immense local support. But the club has made an impact far beyond just Boca Raton. They have built a devoted fan base in Brazil, Eastern Europe, and more. For over three years, the club has shown itself to be a global brand capable of competing at a high-level. Boca Raton FC starts with Boca FC High-Performance Academy, offering a competitive U19-U23 program in which the players grow and refine their soccer skills, technique, and tactical knowledge of the game. Playing in a team environment, players compete in the Gold Coast Soccer League and other tournaments year-round. Here, players have the opportunity to be seen by Boca FC coaches and staff, and may be given opportunities to practice/play with official team. Boca Raton FC provides a professional atmosphere for players who are looking to take their athletic career to the next level, and provides an avenue for collegiate athletes to stay in shape over the summer. Players can work their way up the High-Performance Academy, or be selected through an open try-out. 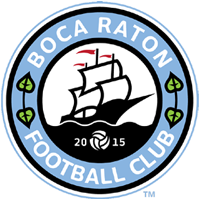 We are Boca Raton Football Club, an amateur elite level male ADULT ONLY soccer franchise. Our goal is to be a pathway for players to stay fit, compete at a high level, be part of a professional* soccer atmosphere, and bring to our city high-level soccer that can be seen in a safe, fun, and exciting environment by our community. Learn more about our various programs here. *Boca Raton FC is 100% an amateur team in classification with the United States Soccer Federation.